Oil pulling is touted as an ancient detox method, but does it really work? We take a look at how to perform oil pulling and give it a test run to see how things go. Toxins are a major buzzword in alternative treatments. From foot soaks to juice cleanses, dozens of practices are said to draw toxins from our bodies. Some swear by oil pulling, an Ayurvedic healing method that involves using oil as mouthwash. Does it really work? To try the oil pulling method, use one or two tablespoons of your oil of choice and swish gently for 15-20 minutes. Traditionally, oil pulling is performed with sesame oil or sunflower oil. In recent years, coconut oil has become a more popular oil to use. To try the oil pulling method, use one or two tablespoons of your oil of choice and swish gently for 15-20 minutes. Some recommend relaxing and meditating during this time. As you swish, the oil will get frothy or creamy. Be careful not to swallow it. When you're finished, spit into the trash, rinse with warm water and brush your teeth gently. The oil pulling method is said to cleanse the mouth and detox the body by pulling toxins, bacteria and parasites into the oil. New York City dentist Frederick Stange, D.D.S., believes that oil pulling may be beneficial for people with tooth decay, but not for those with gum disease. “The oil could rest in the crevice that exists between all teeth and gum tissues,” says Dr. Stange. “If this is the case, the normal penetration of saliva and oxygen would be altered. In areas of low oxygen, the bacteria that cause gum disease flourish.” Some conventional mouthwashes are also damaging to the mouth. 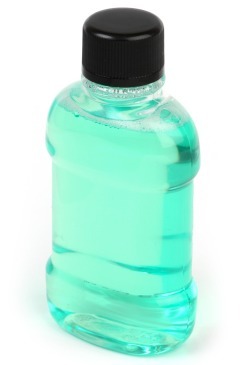 “Alcohol can desiccate and damage oral mucosa,” says Dr. Stange, who recommends mouthwash formulas that do not contain alcohol. 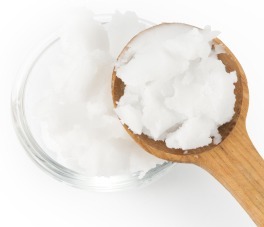 Does oil pulling replace brushing? John Budd, D.D.S., M.S., advises those who wish to try oil pulling to continue using regular oral hygiene methods. “While as a dental professional I find the theory interesting, at this point in time I don't believe the scientific evidence is strong enough to warrant recommending this technique as an adjunctive treatment to good old fashioned brushing, flossing and fluoridated toothpaste,” he says. There is no scientific evidence that oil pulling has any effect on toxins within the body or healing any type of disease. Figuring there was no harm in giving it a try, I put oil pulling to the test using one teaspoon of organic coconut oil. I chose coconut oil for the taste and anti-inflammatory properties. From the very start, it felt strange. I swished gently, careful to try to keep the oil at the front of my mouth. It produced a lot of saliva and ramped up my gag reflex. The process wasn't exactly pleasant, and I felt uncomfortable as I tried not to swallow. I've never been as acutely aware of how long it takes for 15 minutes to go by. On the subsequent tries, I did it in the shower. That helped pass the time, but made it harder to concentrate on gentle swishing and not swallowing the oil. Overall, I didn't notice anything miraculous from seven days of oil pulling, but the experience definitely made me pay more attention to my mouth. It also kept me on top of my brushing routine every time I finished swishing. I won't continue oil pulling in the future.